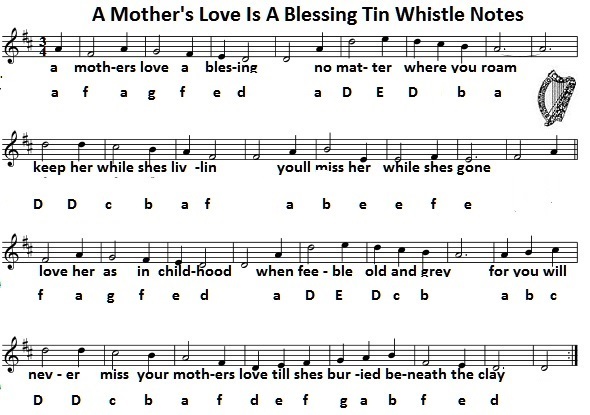 A Mother's Love's A Blessing sheet music notes. 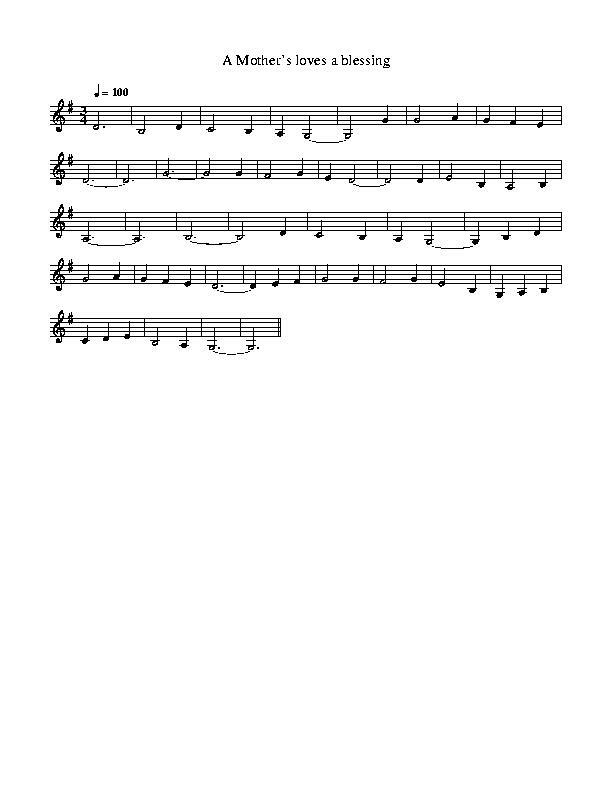 I have also included the basic letter notes for those who still don't read the sheets. 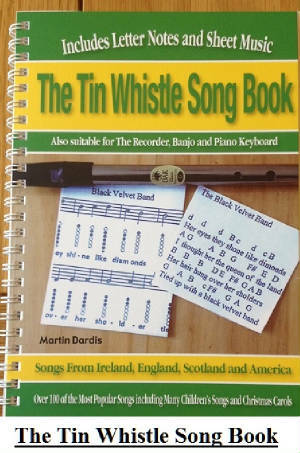 The small lower case letters go up to middle c on your whistle then the capital letters take over.